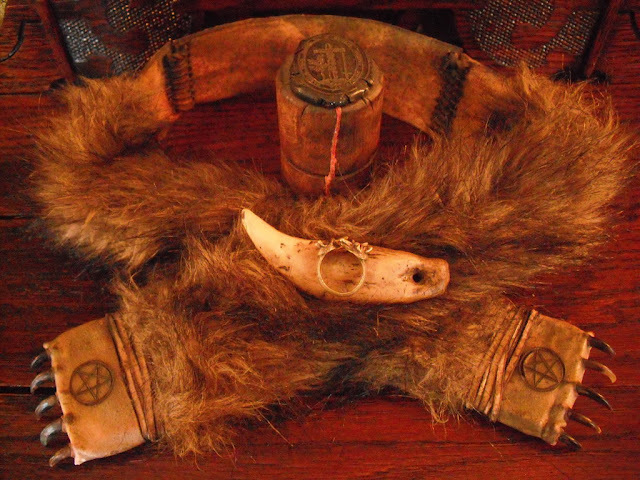 Dale Bigford has been revealing the contents of his Immortality Box on a daily basis over the past week. Browse the gallery and you'll find items like the Chinese Peaches of Immortality and the European Tools of the Werewolf. 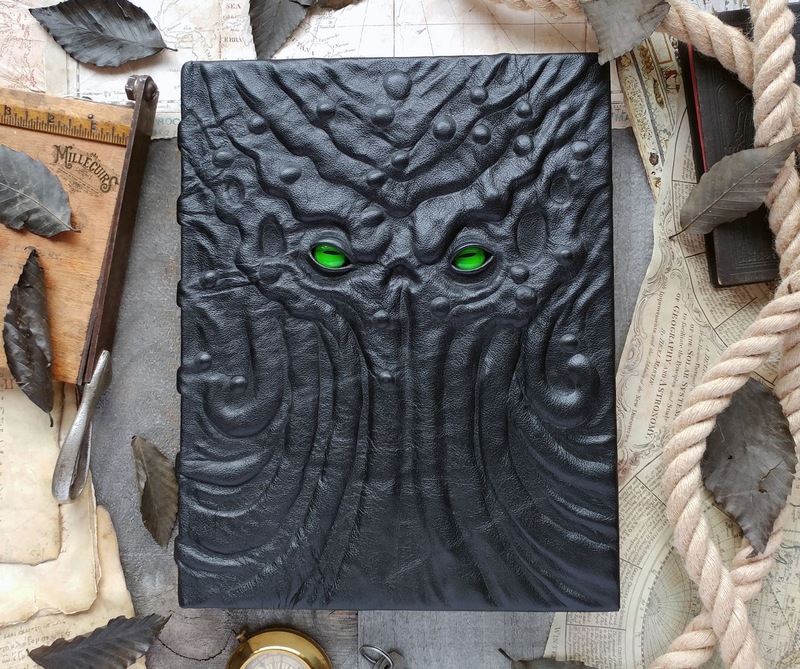 The latest from Mille Cuirs- The Grand Grimoire of Cthulhu, with a hand tooled leather cover featuring inset glass eyes. 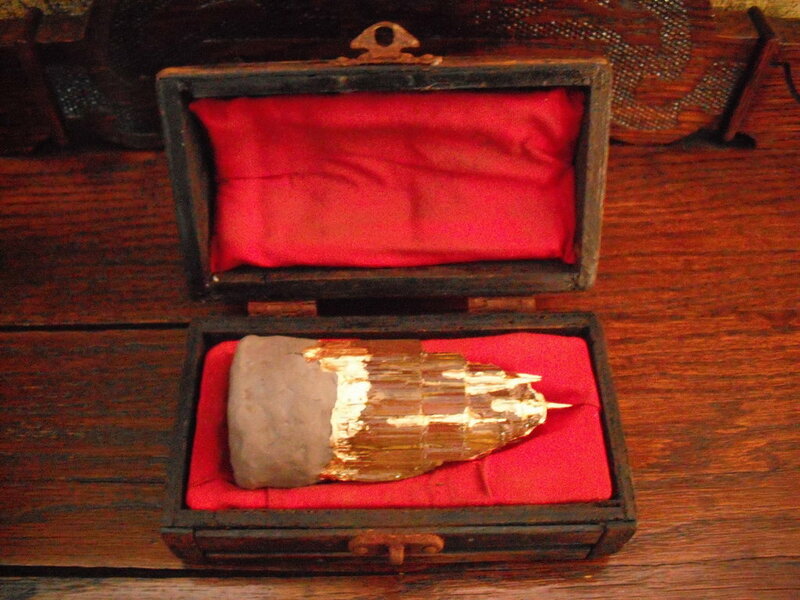 Dale Bigford has started to reveal the contents of the mysterious case I mentioned earlier this week. 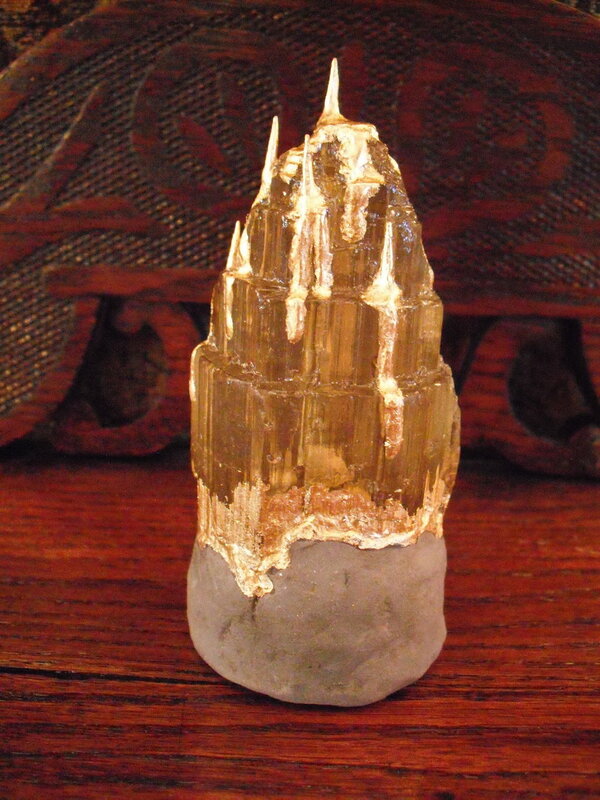 The first item is the infamous Philosopher's Stone. Marika Schirmacher returns to our pages with this Elder Scrolls inspired dragonstone. 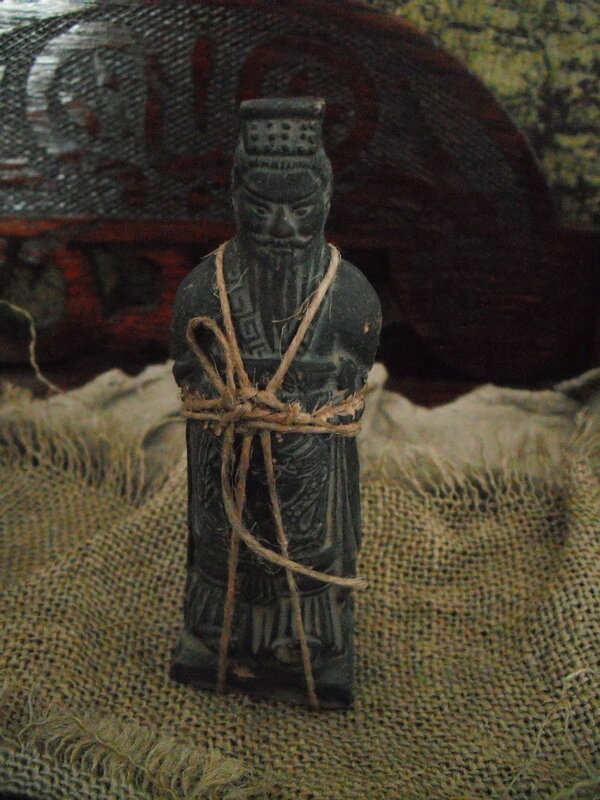 Sculpted from black polymer clay with a painted stone finish. 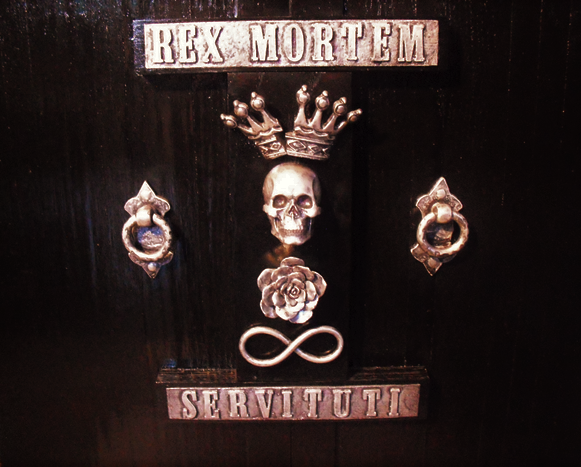 The cabinet swung open to reveal two equal sections with a complex array of doors. All different sizes, all tagged with a number and in no discernable order. What price would you be willing to pay for immortality? The answer may well be in this intriguing box. Dale Bigford will be revealing the contents over the next week. I can't wait to see what's inside. Ick. 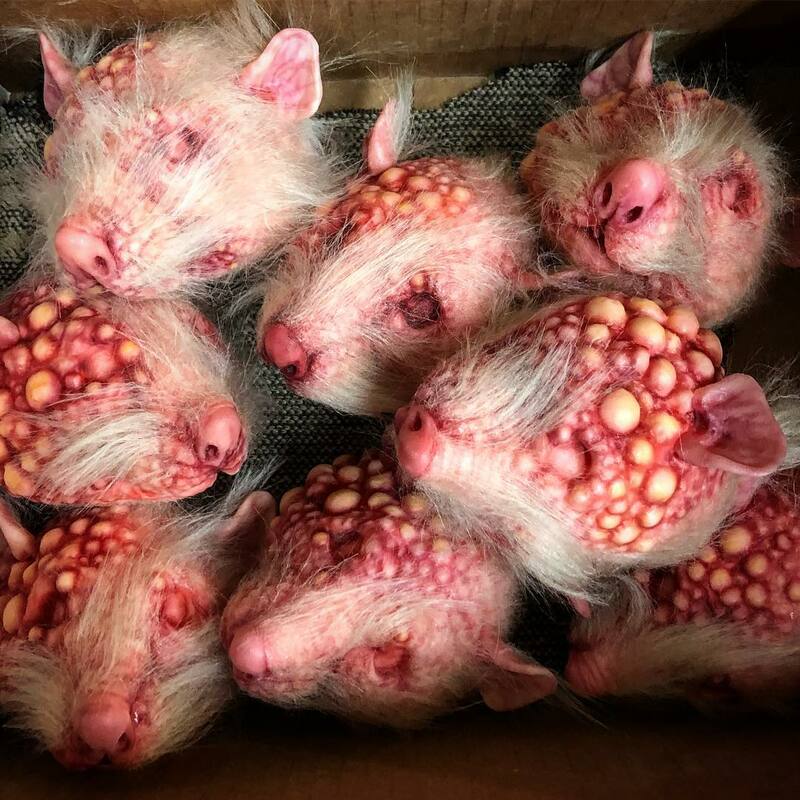 These gruesome plague rats come to us from artist Patrick Magee. 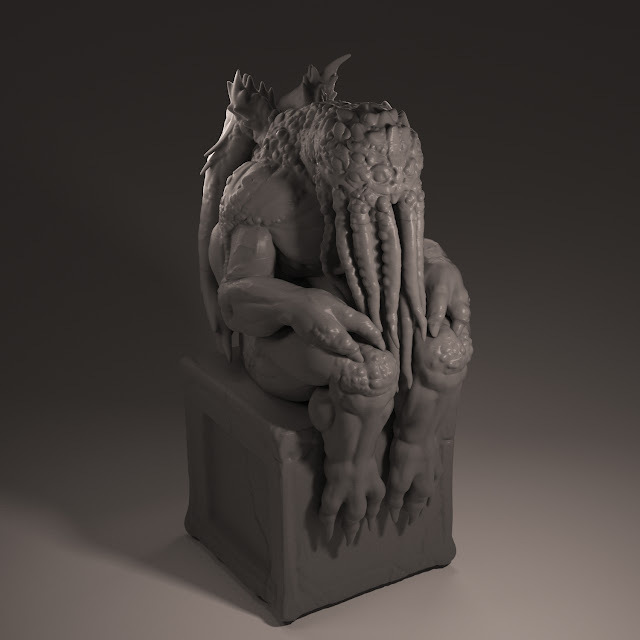 Carter Reid returns to our pages with this nicely done Cthulhu idol. I wouldn't have thought it possible, but he pulls off a purple finish. 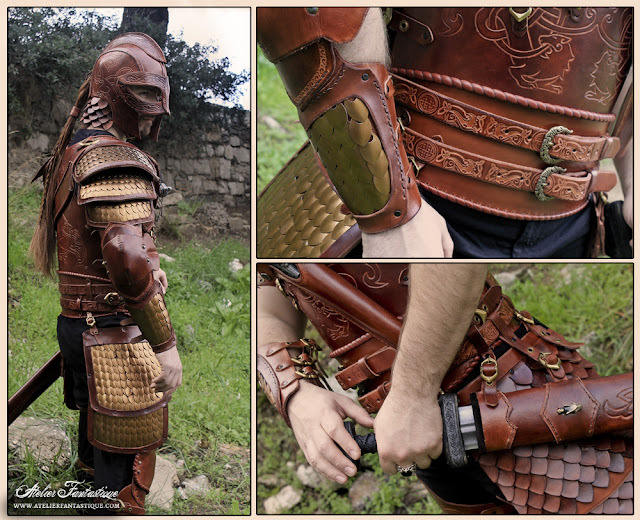 This demonstration of how a good costume takes advantage of layering comes to us from Balmore Leathercraft. Building up multiple colors, textures, and forms adds a huge amount of visual interest. You can also end up looking like a homeless person that wandered in off the street. That's why experimenting is so important. Mille Cuirs brings us another wonderful tome. 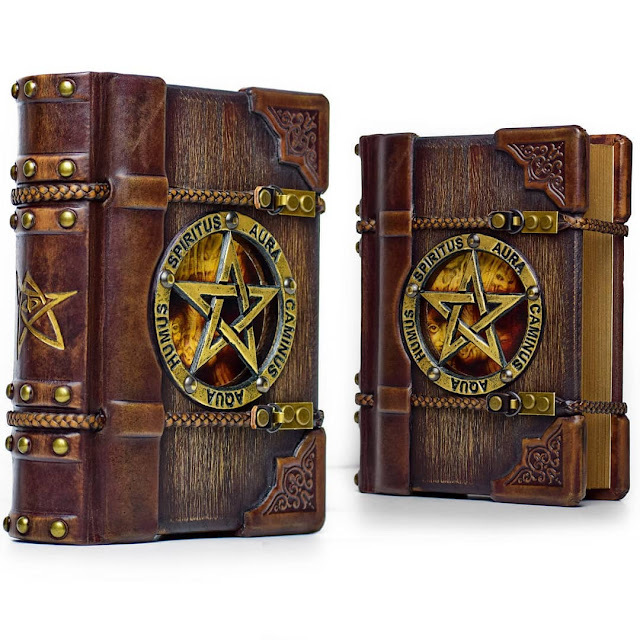 This time it's the Grimoire of the Third Eye, featuring a hand tooled leather cover with inset glass eye. 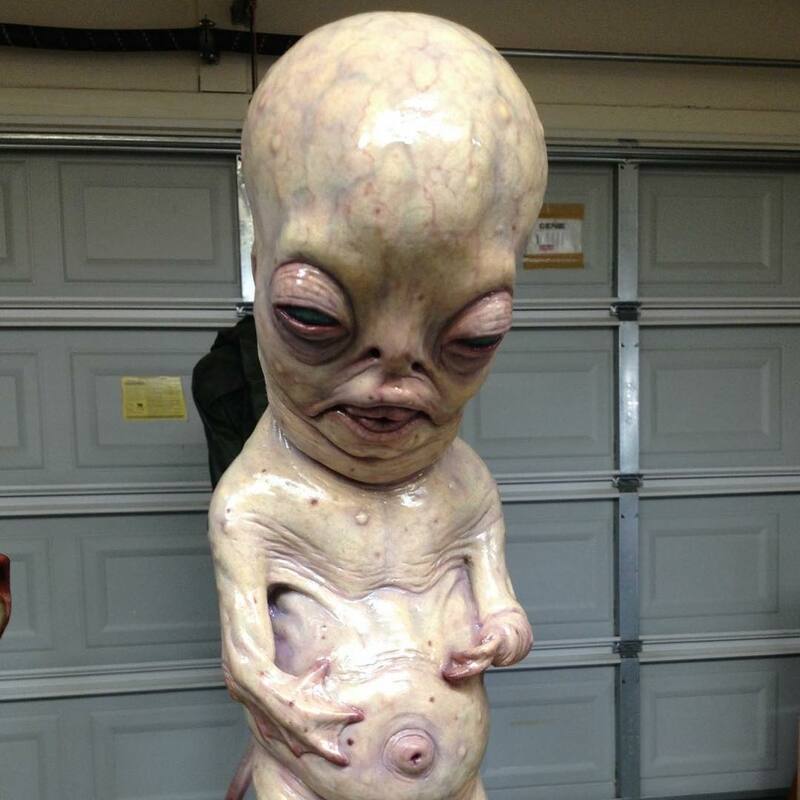 This amazing Innsmouth hybrid fetus comes to us from the talented Casey Love. Atelier Fantastique returns to our pages with this beautiful Fenris LARP armor. 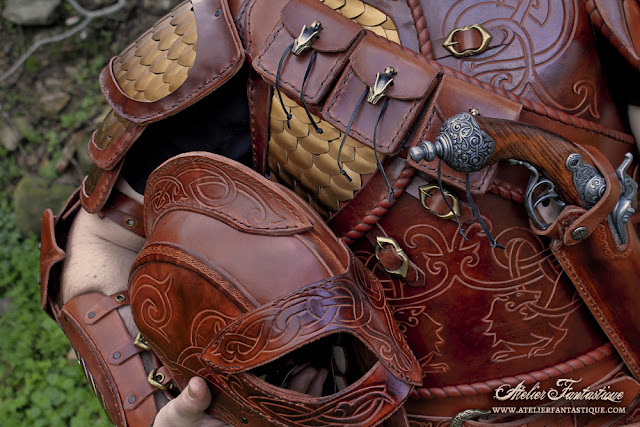 The wolf-themed set is hand tooled from leather. I would think the existence of black powder guns would make something like this a bit pointless, but, hey, it's fantasy. You gotta go with the flow. First, I want to apologize for this video. I saw a GIF of this sword set from Monster Hunter on Reddit yesterday and was blown away by the lighting effect. What makes it notable is that the internal illumination shines through a painted surface, something I've never seen done effectively in any kind of prop. 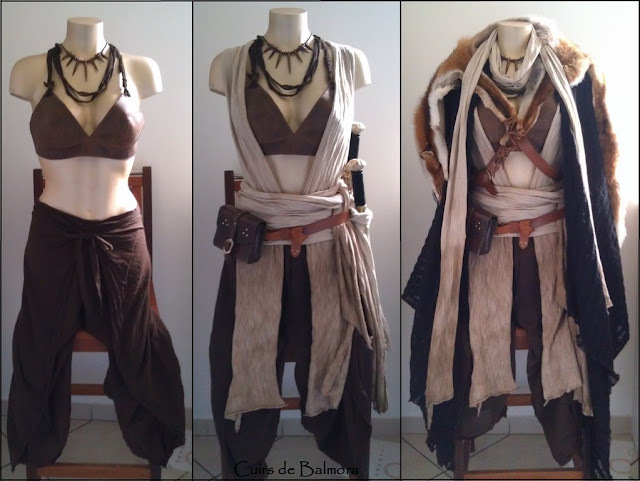 After some Googling I found the build video for the swords from Kamui Cosplay. 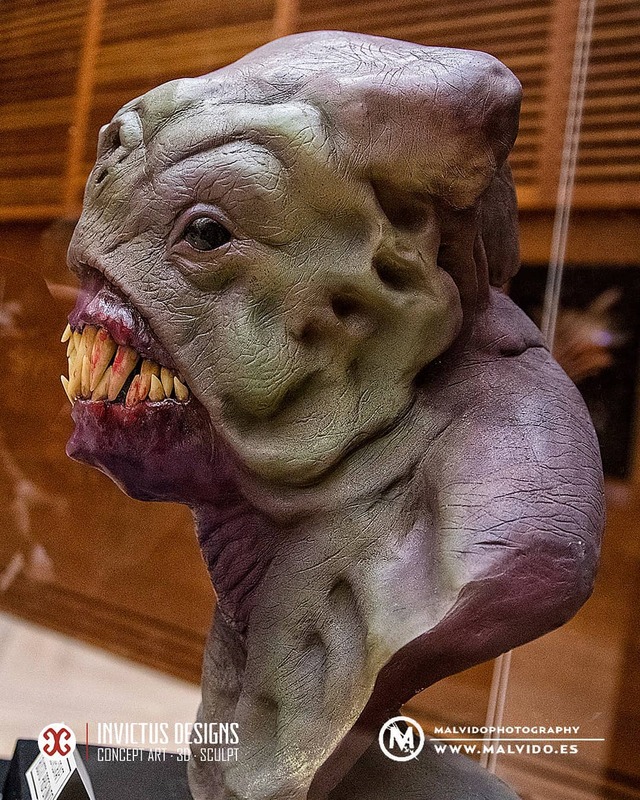 On the bright side, no pun intended, it includes a very detailed look at how the effect was achieved using LED light strips and translucent EVA foam. That said, there's a whole lot of cheese to slog through to get there. I have nothing but the highest respect for KC's incredible craftsmanship, but the forced cuteness of the opening minutes is a bit much. 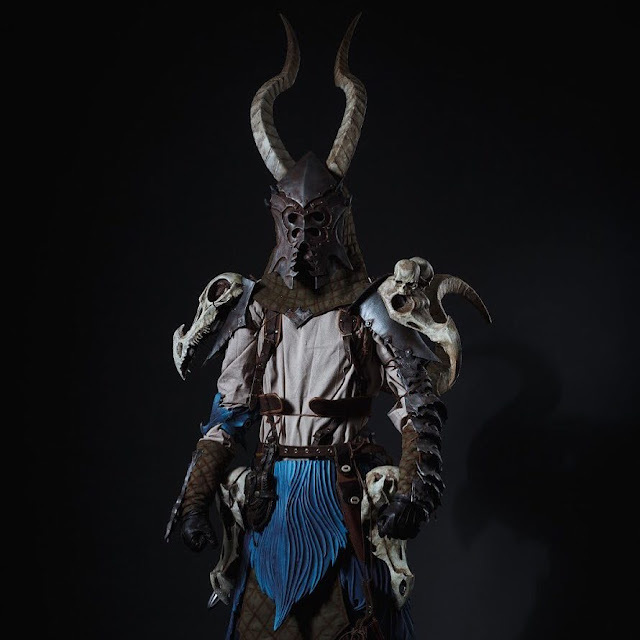 Ukrainian artist my99reality brings us this set of iron and bone Chaos Warrior armor. I don't want to get all gushy, but these renders of an Elder Thing from Sadania are just gorgeous. The only quibble I have, and it's minor at best, is the depiction of the "feet". 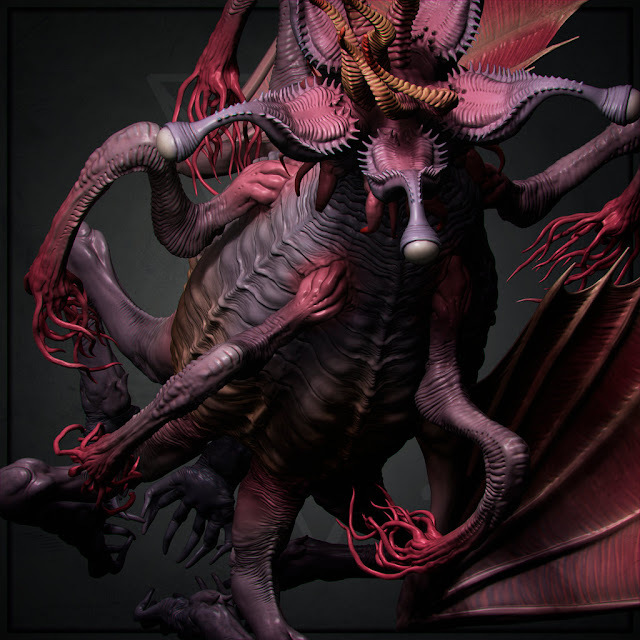 I'd love to see an animated version, but I imagine trying to capture the radial walking and flying cycle would be absolutely maddening. Alex Libris brings us an Elder Sign protected personal grimoire. 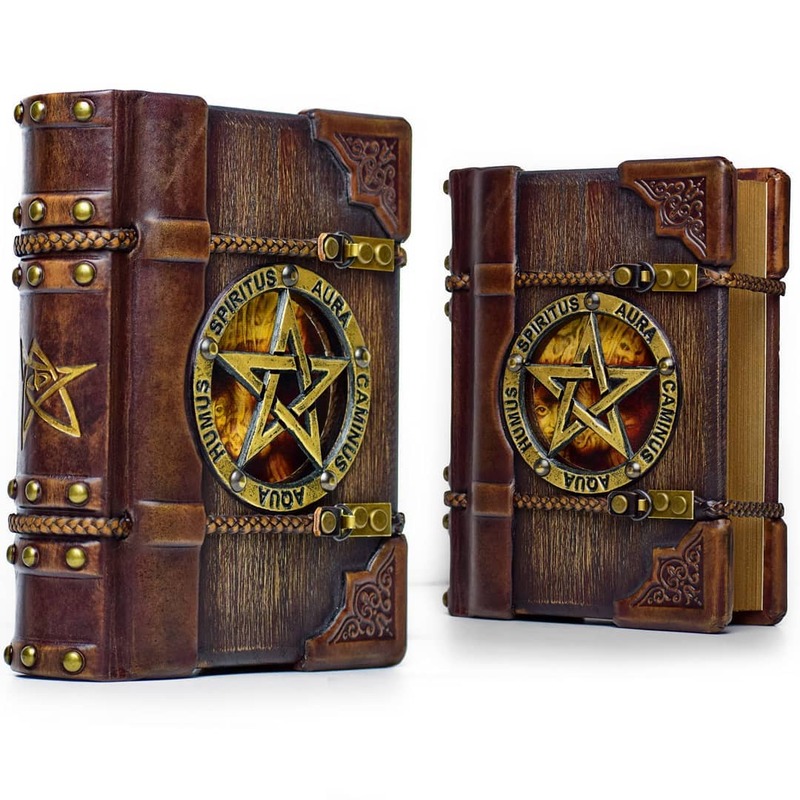 The cover is hand crafted from wood and leather with a custom embossment. 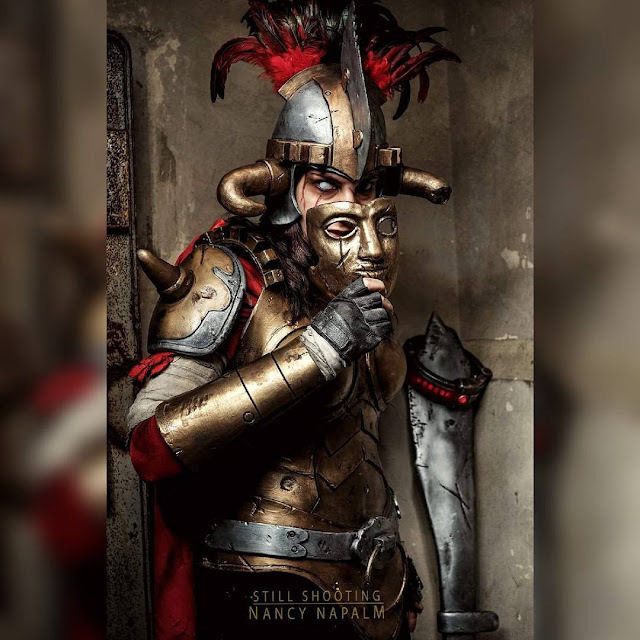 Ave, True to Caesar! 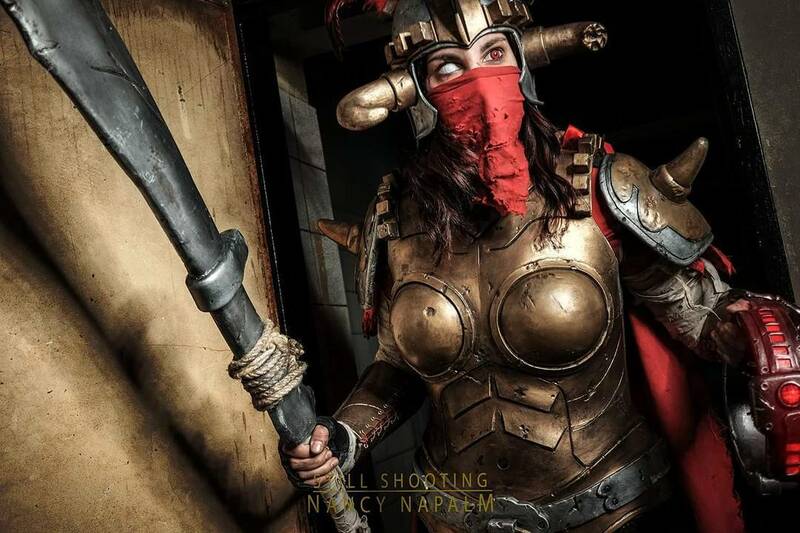 This gender swapped take on Legate Lanius from Fallout: New Vegas comes to us from German cosplayers Raptobot. 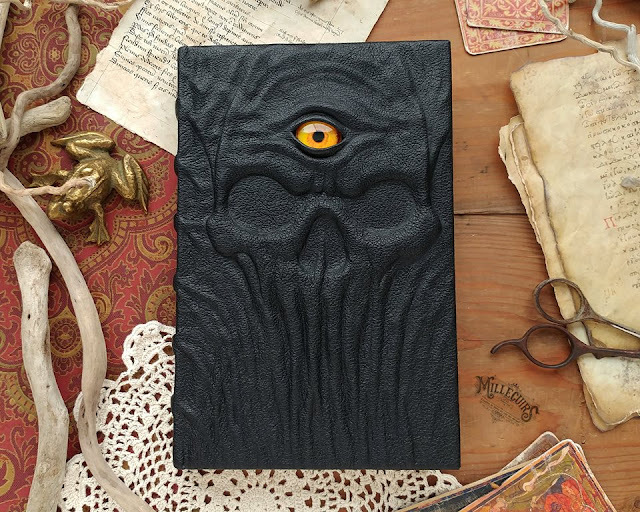 The talented Mille Cuirs returns to our pages with this Evil Dead-style Necronomicon with a hand tooled leather cover. 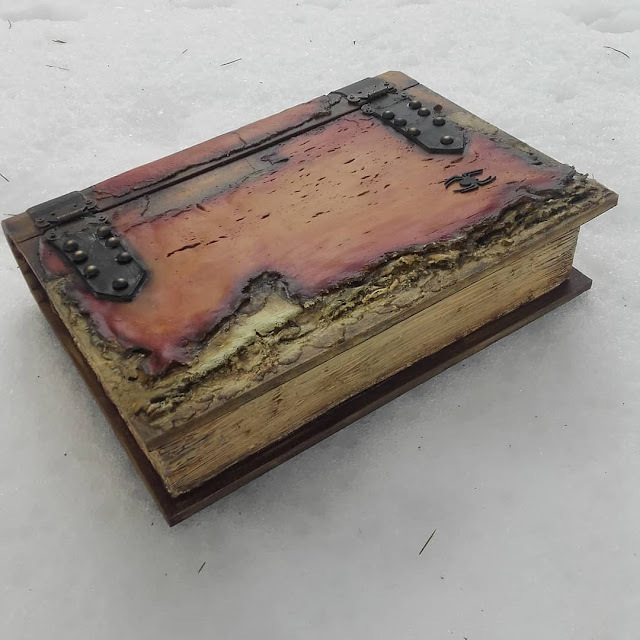 Ivana Vuksanovic returns to our pages with this faux tome. 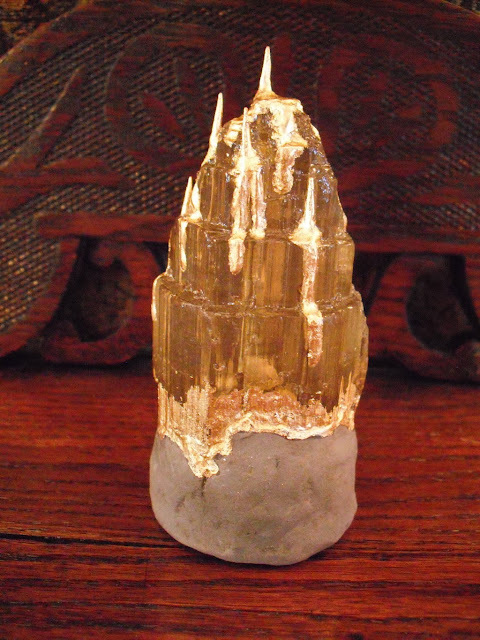 The destructive weathering treatment looks awesome. 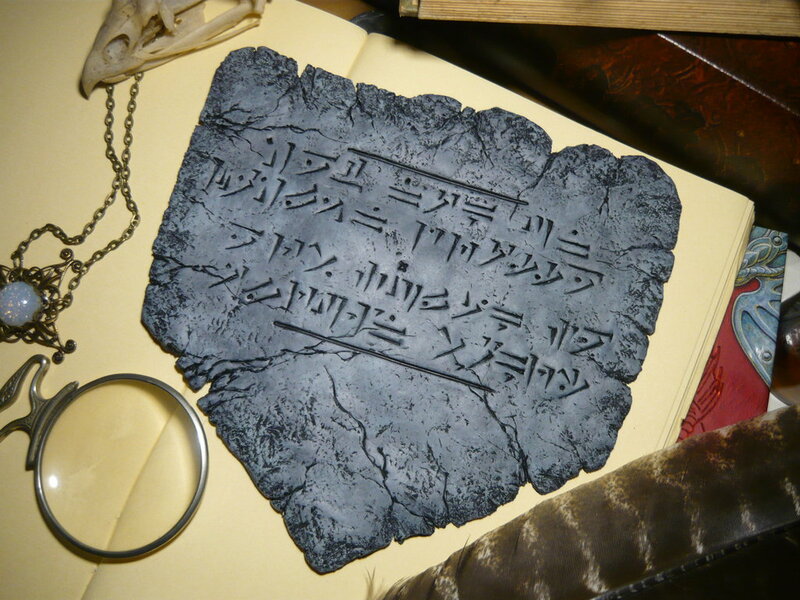 This recreation of the Amulet of Horus from Tomb Raider: The Last Revelation was crafted from foam board (!) and apoxie sculpt by artist Anne-Marie Paradis. 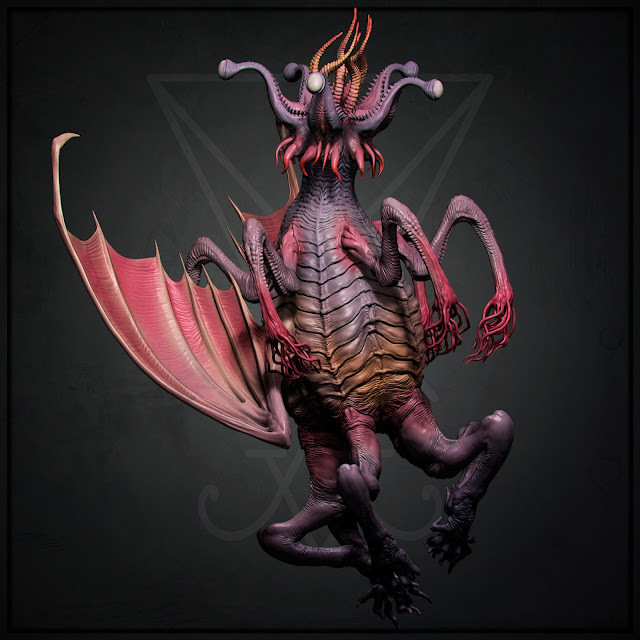 One of the interesting features of the Cthulhu Mythos is that Lovecraft left us his own depiction of what the infamous idol of Cthulhu looked like. Koyima brings us his interpretation of the old Gent's admittedly basic sketch, fleshing out the form and proportions of the original. 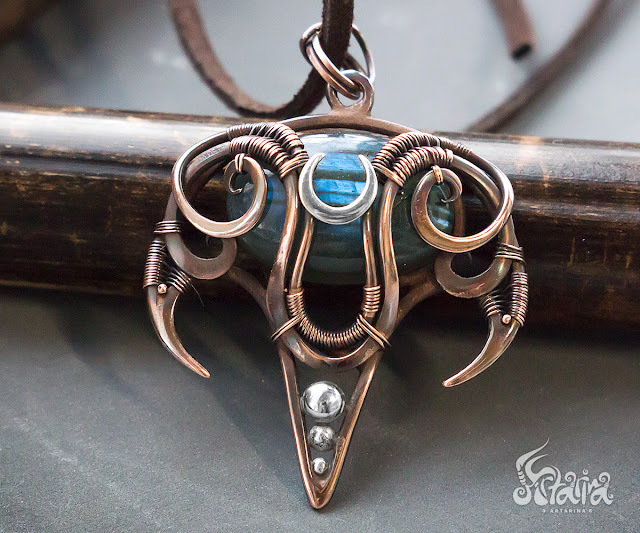 This beautiful fantasy amulet, the Hereoleiel, comes to us from Ukrainian artist Arina Gorodetskaya. 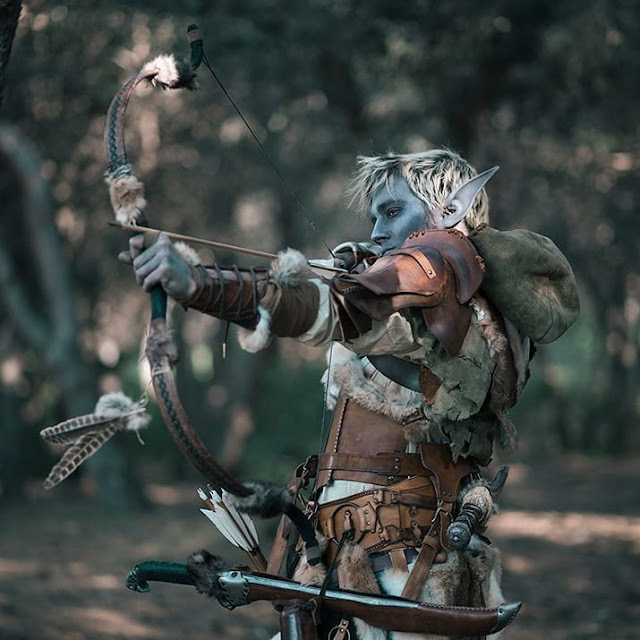 They say the Dunmer make excellent stealth archers. 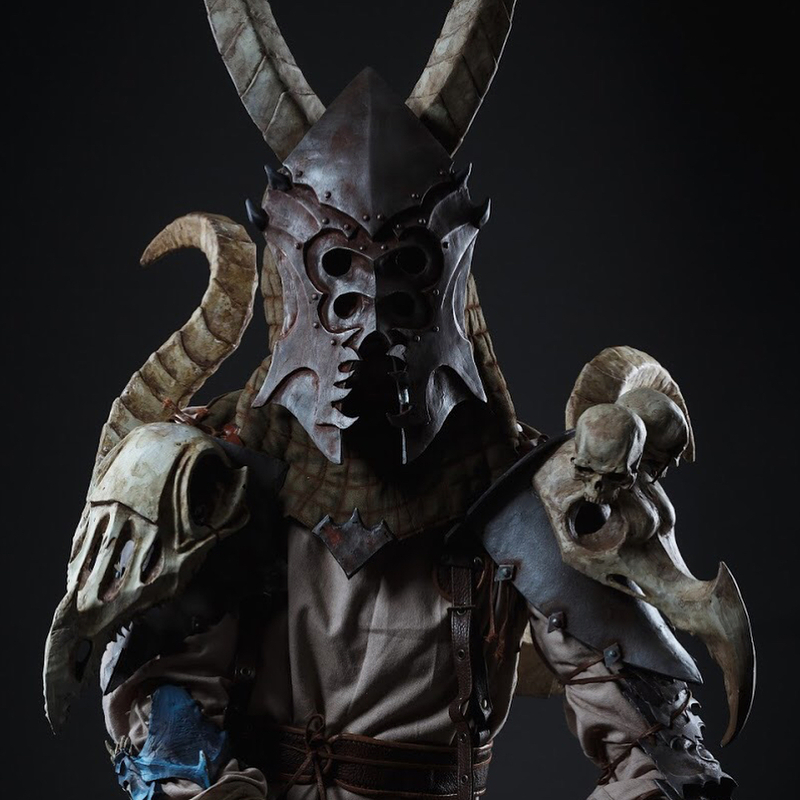 Propcorn brings us the embodiment of that ideal with this Dunmer ranger costume from a Spanish "Skyrim" LARP. I would love to see something like this pop up in Amazon's upcoming Conan series. 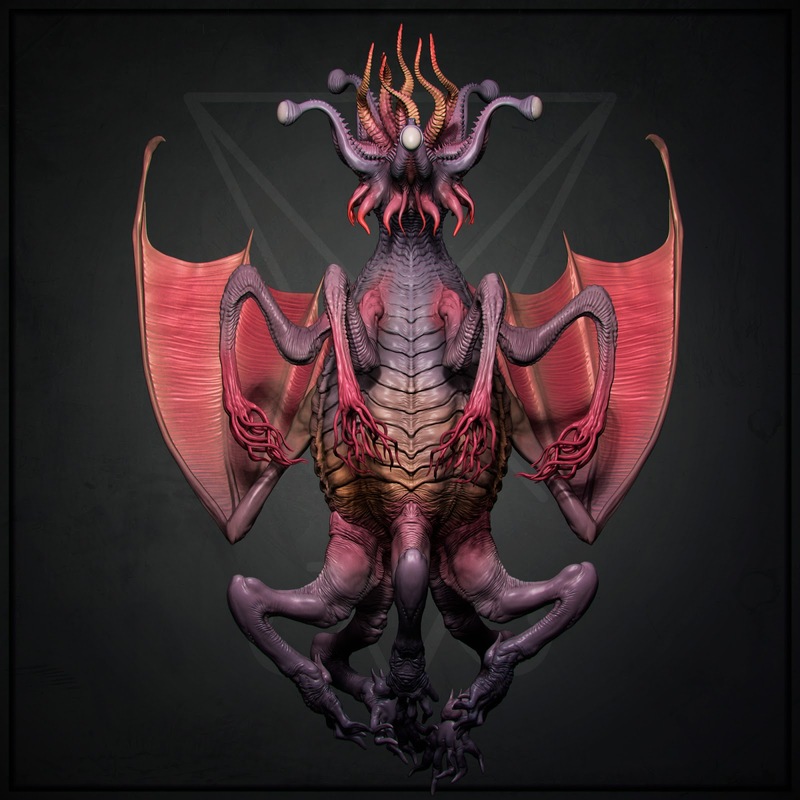 Turkish artist Aydin Zenginol brings us the Sword of Cthulhu, rendered in 3DSMax. 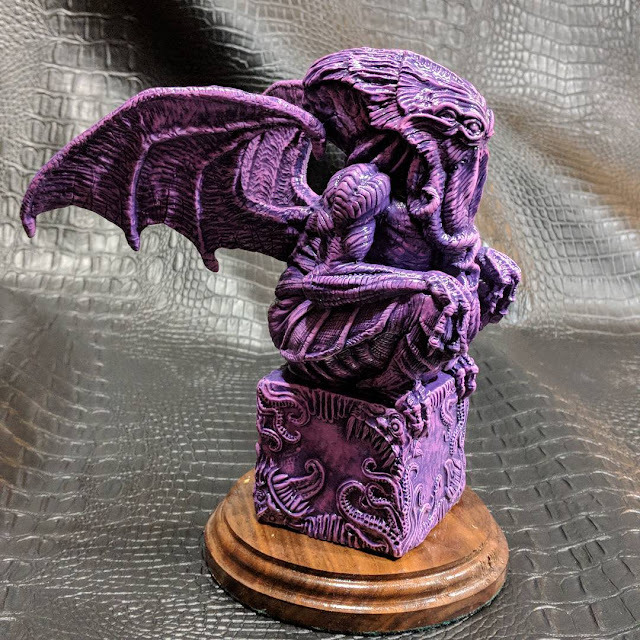 It still amazes me that you can order a detailed 3D print of something like this and have it at your doorstep in just a few days. What a glorious time to be alive.